Alternative to Millipore® ZLX0EDI03 CEDI Replacement Module. Part No: WP410001 Category: CEDI Modules for Millipore®. 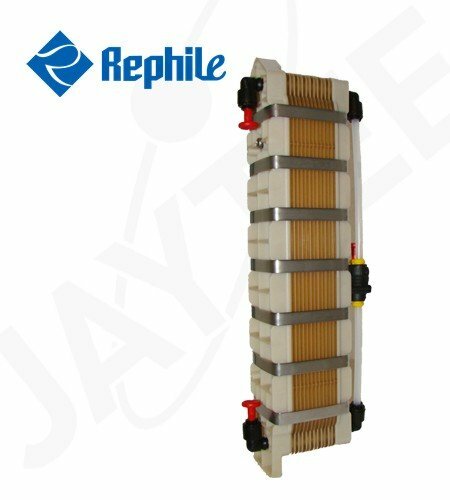 Tags: 3 series, AFS 10E, AFS 15E, CEDI, electro-deionization, Elix 3, Elix Advantage, Elix Essential, Elix Reference, milli-q integral, Milli-Q Integral 3, millipore, water purification, ZLX0EDI03. This CEDI unit combines simplicity with state-of-the-art continuous electro-deionization(CEDI) technology to consistently deliver high purity water. Alternative to Millipore® ZLX0EDI03 for 3 Series: Elix (UV), Elix Advantage, Elix Reference, Elix Essential and Milli-Q Integral, AFS 10E and AFS 15E water purification systems.